Come to YesterLand Farm for a nostalgic step back in time. 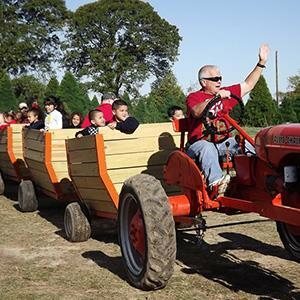 It’s old-fashioned fun on the farm, but with a new twist! Fall festivities and pumpkins. Christmas trees and a winter PlayLand with Santa. 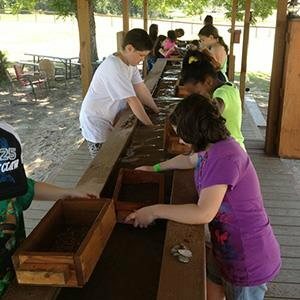 School field trips and more! 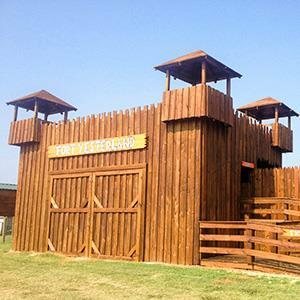 Family entertainment in Northeast Texas — just one mile from the famous Canton First Monday. And this year … we’re doing AfterDark at the farm, too! It’s a hoot and a holler! Take a roller coaster ride through Fort Yesterland, or a train ride on the Yesterland Express, or a wagon train ride past the Bunkers where Swamp Zombies are hiding! Ride the Barrel Train or ride the ponies! See Pig Races or race your own little Rubber Ducks. Mine for gemstones! Take a zip down our Super Slide. Wander over to the Zoo to meet Lola, a few goats, chickens, pigs and more! Our collection of vintage mechanical rides will take you back in time … as well as up-and-down, and round-and-round! Santa’s Runaway Sleigh roller coaster is the icon of the farm and is guaranteed to bring squeals of glee! 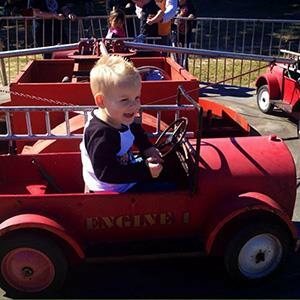 The little Ferris wheel is a charmer, while Fire Trucks, Canoes, and a Merry-Go-Round are also family favorites.